Mission Hills Group — impetus for China’s golf boom and owner and operator of the world’s two largest golf properties — has unveiled the imagination-stoking "Mission Hills Fantasy Golf Hole Contest." Amateur golf-course architects are invited to submit bold and daring conceptual plans for a par 3, 4 or 5. Winning submissions will be brought to life on the soon-to-be-constructed Icon Course at the new family resort destination, Mission Hills Hainan, China. The radical Icon Course will feature holes as intrepid and extreme as any ever designed. Keeping with this theme, entries will be evaluated largely on creativity. Outside-the-box concepts are highly encouraged — for instance, inspiration may be drawn from inanimate objects, animals or famous global landmarks. Designs must also accommodate playability, construction-feasibility and other criteria. 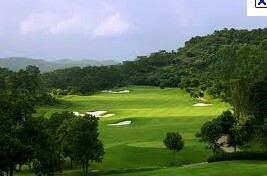 Mission Hills and Schmidt-Curley Design (architect of all 10 courses at Mission Hills Hainan) will lead the judging. The deadline for the competition is February 28, 2011. For details and entry instructions: www.missionhillschina.com/contest/fantasygolfhole. In addition to creation of their dream holes, Grand Prize winners and three guests will receive four-day, three-night, all-expense-paid trips to Mission Hills Hainan. Winners will also be awarded with lifetime passes to play unlimited free golf on the Icon Course. "Mission Hills is excited to present this opportunity to golfers worldwide," says Dr. Ken Chu, Executive Vice Chairman of Mission Hills Group. "Limitless imagination is paramount, as our Icon Course will feature holes inspired by Mission Hills’ position at the forefront of golf’s global explosion." "Armchair architects must ingeniously channel their artistic impulses," says Brian Curley of Schmidt-Curley Design. "Submit your dream hole or holes — wild-and-wacky preferred — and we’ll build it for you." Located on exotic Hainan Island, the world’s hottest spot for luxury development, Mission Hills Hainan, is only 15 minutes from Haikou Meilan International Airport. It features 10 golf courses celebrating design genres from around the globe, 518 tastefully-appointed guest rooms and suites, 12 first-rate restaurants, Hainan’s only aquatic theme park, therapeutic volcanic mineral springs, a spa oasis and more.